Here is a letter President Obama wrote to daughters Malia and Natasha (Sasha) prior to his inauguration. It is beautiful. Enjoy. What would you write to the children in your life? Next Tuesday, Barack Obama will be sworn in as our 44th President. On this historic occasion, PARADE asked the President-elect, who is also a devoted family man, to get personal and tell us what he wants for his children. Here, he shares his letter to them. Here is a video of holiday wishes from the Obamas. I received it weeks ago but could not bring myself to post it BEFORE we celebrated Thanksgiving. Since our next president is so wired and tech savvy, it's likely we should expect more of these messages in the future. 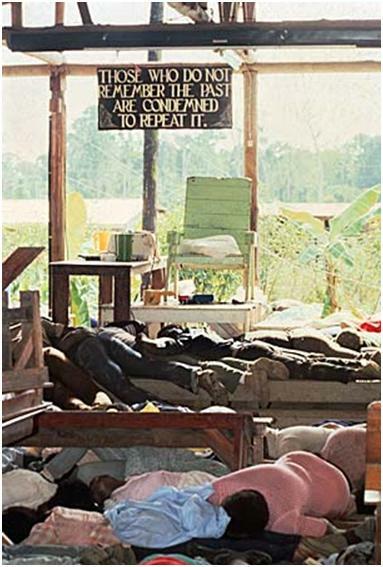 On November 18, 1978, 909 people either committed suicide or were massacred at the Jonestown settlement in Guyana. Many of the dead were black; 303 were children. In search of a world of equality and freedom for all people, these folks actually found a living hell on Earth. Among the murdered were California congressional representative Leo Ryan and a news crew who were visiting the site after accusations of mistreatment there. Many of the Jonestown residents were from California. A few folks survived the mass suicide orders of the Rev. 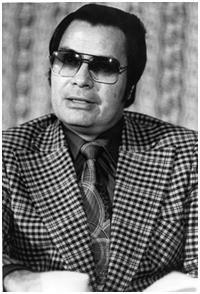 Jim Jones head of The People's Temple. The 30th anniversary of the mass suicide at Jonestown, Guyana is commemorated in a riveting documentary on CNN narrated by Soledad O'Brien. It's one thing to have seen the television movie of Jonestown back in 1980 and quite another emotion in viewing the actual raw footage of Jonestown and the many people who would later be found dead. O'Brien also interviews several survivors of Jonestown. That entire incident seems so unreal but Jim Jones showed just how a people's mind can be controlled. It was that horrible incident from which the term "drinking the Kool-aid" originated. The body of the young boy found in the white SUV was Julian King; he was shot multiple times. This brings the number of dead to three as a result of the multiple slayings that started on Friday. There are no words to describe the pain that Jennifer Hudson and the rest of the Hudson family are experiencing. Ms. Hudson's brother-in-law is in custody and held for parole violations. He and his girlfriend gave conflicting information regarding his whereabouts. 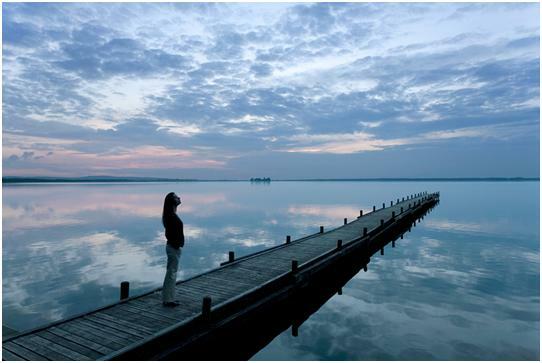 To lose loved ones in such a tragic manner is more than devastating. The person or persons involved must be brought to justice. I pray for the Hudson family's strength during this situation. I also pray for the mercy and uplift for the souls of Darnell Donerson, Jason Hudson and Julian King. Ashe'.